The letters also loved him: Gerard Unger, ATypI member extraordinaire. 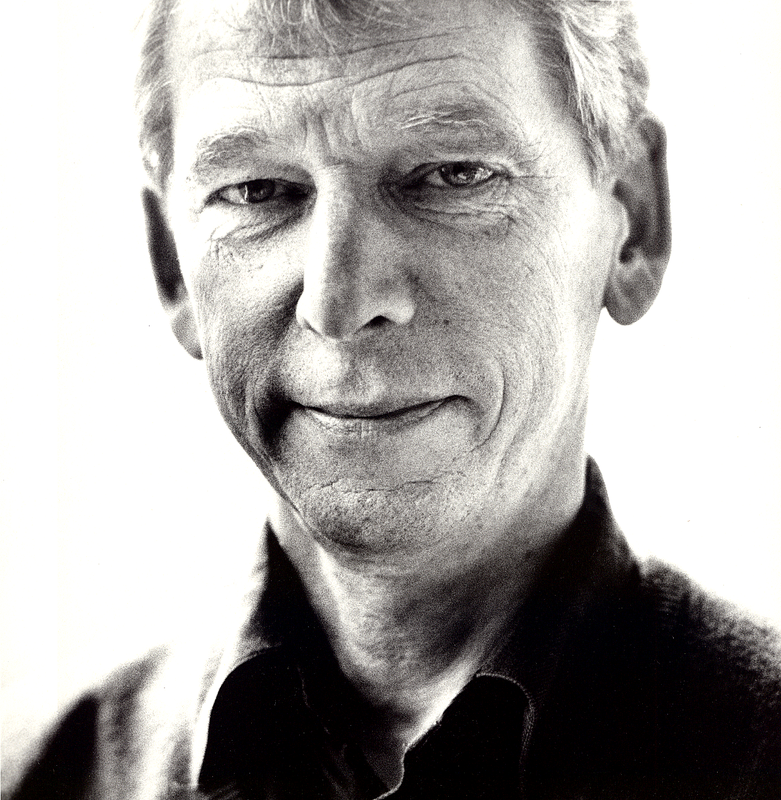 Portrait by Anthony Oliver, 2001. Shot in the Department of Typography & Graphic Communication, and used as the opening image for a feature in Eye 40, Summer 2001. With kind thanks to Anthony Oliver. For many, news of his death was an unexpected shock. For those who had witnessed Gerard’s recent decline in health, it was an inescapable moment of acceptance. For all who knew him, it marked a profound sense of sadness and loss. The weeks after Gerard’s death were heavy with emotion and memories. Statements of fact and measured responses, like the obituaries above, have been instrumental in beginning the process of reflecting on a central personality in our field. A few months later, thoughts shift from reminiscence to reflection, and it is time for a response more specific to our community. This is not because of the length of his career — although, at five full decades, his output can easily fill many pages. The challenge lies in describing the range of his activities in a manner that reflects the attitude with which he undertook them, and the impact he has had as a member of a community that extends the definition of what is a typeface designer and teacher. In this light, his attitude reflects the best of ATypI, an Association he was deeply engaged with. More than most, Gerard Unger realised a rare balance between solitary endeavour and engagement with communities. His work is intensely personal, instantly recognisable, and “Dutch” more so by indirect association than direct reference. His early years overlapped with a period of confidence in Dutch design, and a time of technological change. Willem Sandberg’s work for the Stedelijk was an often-mentioned influence, as was Wim Crouwel: an early and encouraging employer, whose prompt for a response to his own New Alphabet allowed Gerard the space to express an approach that would apply to his work thereafter: an intent to make the technology conform to humanity, rather than the other way around. (There’s a good reproduction halfway down “The inner consistency of Gerard Unger”, an interview to Riccardo Olocco of CAST, from 2017). Demos, his first digital typeface for the Hell company in 1976, demonstrated an early sensitivity for the balance between readability, genre, and the rendering technology. These concerns would occupy him for the rest of his career, and would underpin his explorations of originality within tight reading constraints. Given this perspective, it is no surprise that Dwiggins was a fundamental influence; this he happily acknowledged, just as his typefaces have no evident trace of WAD’s “M-formula”, unlike those of many aspiring designers who heard Gerard describe the effect. In fact, it is easier to find a trend for his own typefaces somewhere in the space that Ovink described as a “reaction to the Didone model”, something that Gerard himself discussed in an article in Quarendo 31.3 (2001), when researching François-Ambroise Didot and Pierre-Louis Vafflard. Swift (1985) and Gulliver (1994) are often associated with his exploration of efficiency in the demanding typographic environment of newspapers, and indeed they can be rightly claimed to have defined a genre — one to which he added himself in later years. However, in the same period he published typefaces that were arguably groundbreaking: the upright italic Flora (1984); Amerigo (1986), an incised style that defined “graceful degradation to low-resolution” many years before this was even a thing, and a couple of decades before the fashion for stencils; and Decoder (1992), hands down the most exciting typeface of the FUSE series. Decoder is a superlative collection of shapes that manages to combine a nod to Dwiggins, the sharpness and economy of digital outlines, and a reminder that, even in the context of FUSE, a typeface is still for typesetting texts. His typefaces for the Dutch urban traffic and motorways, and Vesta (2001), demonstrated the adaptability of his ideas to public signage and long-distance critical viewing, and hinted at his exploration of historical sources as inspiration for entirely novel forms. This approach was central in his last two typefaces, Alverata (2013) and Sanserata (2016). These were inspired by Romanesque inscriptions, and provided an eloquent argument for the potential of typeface design to surprise and inspire, while at the same time performing superbly in text typography. However, Gerard Unger’s typefaces tell only half the story. He taught for years at the Rietveld Academy, and was later a Professor at Leiden University, where he supervised PhDs (and from where he was also awarded his own doctorate). As an educator his widest impact was at the University of Reading, where he taught from 1993 up to a week before he died. His influence on the postgraduates on the Typeface Design course has been profound: as a teacher he was engaged, supportive, and inspirational. His attitude to all was positive and encouraging, regardless of the level of work he was faced with. His openness and modesty were entirely sincere, and brought out the best in students who, it must be said, could not help but be painfully aware of the exceptional skill of their teacher. There are many superlative designers who teach; and some of those surely have very good explanatory skills. Even beyond these qualities, Gerard stood out as a teacher through his absolute dedication to supporting students to find their own voice. Fittingly for a perpetually curious designer teaching in a research-intensive institution, his approach was the antithesis of prescription and dogma: he led with suggestions, guided questions, and by discussing examples from the totality of Western typography and typeface design. This point merits elaboration: as a teacher who supported and inspired but never instructed, Gerard showed complete trust in students, guiding them to learn through reflection and exploration. This is more challenging for the students, more demanding on the teacher, but ultimately more honest and much more respectful to the integrity and potential of each student. Like Marjan, Gerard drew on his rich experience and reflection to write. His articles on Dwiggins and the Didone genre stand comfortably alongside newer works. A series of other articles and longer publications, notably his reflections on the act of reading from the perspective of a typeface designer, paved the ground for his Theory of type design. This substantial book, written, quite astonishingly, during a period of draining illness, stemmed from a process of reflection following his PhD, in 2013. The book offers what is arguably the first comprehensive introduction to the discipline for a contemporary audience, and is likely to serve as a key reference point for many texts. Its somewhat provocative title is entirely in keeping with Gerard’s confident questioning of the discipline, and a fitting culmination to a long career. It was published in the autumn of 2018, and rapidly sold out. At the ATypI conference in Antwerp, the long queue of delegates — many of them past students — waiting for him to sign their copy offered a fitting farewell by an appreciative community. In November of 2018 he conducted his last teaching visit at Reading, lecturing on his favourite topics, and devoting as much time as his strength would allow to working with students. Despite the poignancy of the occasion, his engagement and sincere openness made those days a rewarding, learning experience for all. Gerard Unger was a master designer, a superb teacher, and an exceptionally nice human being. Postscript: In addition to the interviews to John Walters for Eye from which the portrait is taken, and to Riccardo Olocco for CAST, mentioned above, it is worth reading his interview to Irina Smirnova for the Type Journal, which also includes some rarely seen material.